Kudos to the New Nurse! The results are out in the recent Nursing Licensure Examinations in the Philippines and my dear little sister April just passed it!Congratulations!!! 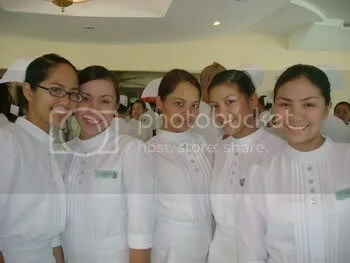 Sis, now that your slack days are over, it’s time to join us in the real world by joining the nursing workforce soon. It’s a dirty job but now you’ve proven that you can do it! Again, very many congratulations to you! sige ba! pataasan ng score!